Ever since the release of 2016’s DC Rebirth #1 one-shot, we’ve known that, somehow, Doctor Manhattan was at the center of the DC Universe. We didn’t know how or why, we just knew that he was somehow responsible for the change in timelines that resulted in the New 52. For two years, we’ve been wondering what Doctor Manhattan was up to, and now we may finally be getting an answer in Doomsday Clock #7. Thanks to DC’s advanced solicits for the month of September, we now know that the issue will illuminate Manhattan’s role in Rebirth. “In this chapter, the truth behind Dr. Manhattan’s curiosity with the DC Universe is revealed as the planet teeters on the edge of the Super-War,” the solicit reads. 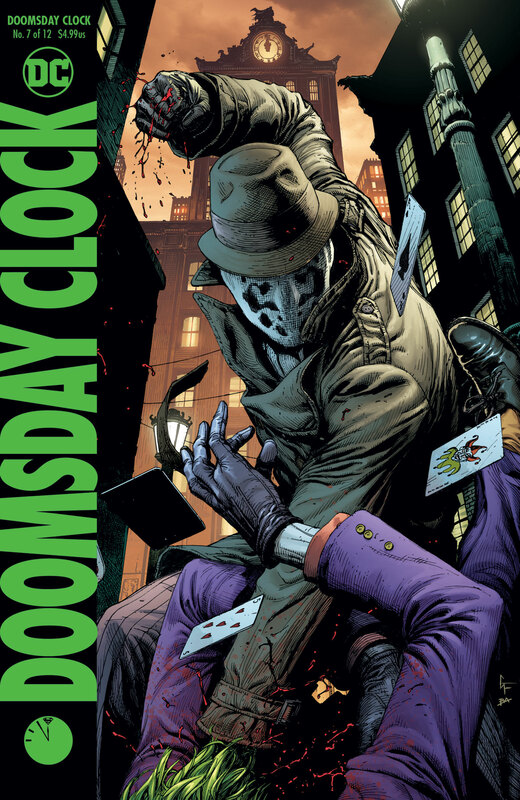 Billed as the event series that would bring the Watchmen characters over in the DC Universe proper, Doomsday Clock actually has yet to reveal Doctor Manhattan in the present five issues in. With only one issue to go before #7 releases, don’t be surprised to see the good Doctor reveal himself in the next issue of the series. The post DC Solicits Tease the ‘Truth’ About Doctor Manhattan’s Role in Rebirth appeared first on CBR.